Dortmund vs Wolfsburg predictions for Saturday’s Bundesliga fixture at Westfalenstadion. After back-to-back wins, the hosts will be hoping to maintain their title challenge with another victory. Continue reading below for all our free tips and predictions. After their defeat against Augsburg, Dortmund needed to bounce back and bounce back is exactly what they’ve done. Lucien Favre’s men first got the better of Stuttgart at this venue, while they battled hard for a win away against Hertha Berlin last time out. Having won each of their last two, BVB have kept themselves firmly in the title race, though as Bayern have shown few signs of letting up, it is important that they maintain the winning thread. In truth, it’s tough to criticise the recent performances of Dortmund. They’ve been consistently creating more than their opponents, while they’ve not been giving an awful lot away either. Even when they lost against Augsburg, BVB dominated, so much so that they were unlucky not to get more from the game. Since then, Favre’s men have delivered two commanding attacking performances. They had far too much in the locker for Stuttgart, while they continued to offer lots going forward when beating Hertha on the road last time out. Recent expected-goals for figures of 2.58, 1.71 and 2.02 bode well for Saturday’s hosts. On their own patch, Dortmund have looked very good offensively this season. They’ve scored a staggering 43 goals in front of a home crowd, a total which is unsurprisingly the highest in the division, while they’re averaging an impressive 2.18 expected goals for. Add in the fact that they boast an average goal difference of +1.93 and an average expected goals difference of +1.12 and it’s easy to conclude that BVB are a force to be reckoned with at Westfalenstadion, where they remain unbeaten this season. However, while Dortmund have offered lots going forward at home, they’ve not been infallible at the back, especially in recent times. Saturday’s hosts have conceded at least once in each of their last six at home, while the fact that they’ve surrendered an average of 1.38 goals doesn’t exactly suggest that their back-line has been watertight. Wolfsburg come into this game having recently been battered by Bayern, though their overall away efforts this season should give them some hope, at least from an attacking point of view. Saturday’s visitors have scored a pleasing average of 1.69 goals on the road, while they are also averaging a respectable 1.45 expected goals for and have scored at least once in all but one of their last ten travelling matches. Offensively, Wolfsburg, who’re not averse to hurting teams on the break, should get competitive on Saturday, though they’re likely to struggle at the back. Not only are Dortmund very strong going forward at home, but the visitors have found it tough to keep things tight on their travels. Bruno Labbadia’s men have conceded in seven of their last ten travelling matches, while they’ve struggled to keep out the top teams, shipping a total of eight goals in four game away against sides that currently reside in the top six. Add in the fact that they’ve surrendered an average of 1.62 expected goals on the road during the current campaign and it’s easy to fear for Die Wölfe ahead of Saturday’s clash. Taking the above into consideration, the bet that stands out is ‘Dortmund to Win & Both Teams to Score’. Wolfsburg have the quality to catch out a Dortmund back-line that has rarely looked impregnable, though their overall efforts on the road suggest that they’re unlikely to have enough about them to outscore a home side that is very strong going forward. Their dodgy rear-guard, which recently shipped six away at Bayern, is also likely to hinder the visitors. Borussia Dortmund haven’t lost any of their last seven Bundesliga meetings with Wolfsburg (W6 D1). Of the current BL sides, BVB are only on longer unbeaten runs against Freiburg (15 games) and Nürnberg (13). VfL Wolfsburg are on a 397-minute goal drought against Dortmund in the Bundesliga. The last time they found the net against BVB was Daniel Didavi’s goal in a 5-1 home loss in mid-September 2016. Dortmund have kept a clean sheet in their last four Bundesliga games against Wolfsburg and could now shut-out a Bundesliga side five games in a row for the first time in their top-flight history. 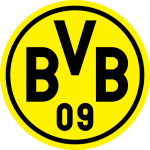 Only one of the 14 teams in Bundesliga history with at least 60 points after 26 games (like Dortmund currently have) has failed to win the title – BVB themselves finished second in 2015-16 despite having 61 points at this stage. Borussia Dortmund have won 11 of their 13 Bundesliga home games this season (2 draws), collecting 35 of a possible 39 points on home turf. The 3-2 win in Berlin was Dortmund’s fifth come-from-behind victory this season – no other Bundesliga side has won more than two games after trailing. Dortmund’s Jadon Sancho has had a hand in 20 goals (8 goals and 12 assists), the best record by far for any player born in 2000 or later in Europe’s top five leagues. VfL Wolfsburg have scored 44 goals – the last time they had this many after 26 Bundesliga games was in 2014-15 (57), a campaign in which they finished second. Wolfsburg have scored six goals from set pieces in their last six Bundesliga games – a league high number in that timeframe. Wolfsburg’s Wout Weghorst had a hand in five goals in the 5-2 win over Düsseldorf (3 goals, 2 assists). The last Dutchman to manage that in a Bundesliga game was Arjen Robben in May 2011 (2 goals and 3 assists in Bayern’s 8-1 win at St. Pauli).